With its multiple Emmy nominations, richly complex characters, tension filled suspenseful action and slow burning character arcs, The Americans is one sign that the so-called Golden Age of Television may have graduated to platinum. The Cold War spy drama should get bonus points for its well crafted '80s nostalgia, to say nothing of the myriad of overlapping storylines and powerfully drawn characters. Today we look at 10 things you never knew about The Americans. Though, if you're not all the way caught up, you should be warned. There will be spoilers. The Americans is based on a group of real-life 'Illegals'. The Americans is about a pair of KGB operatives in deep cover in the United States. The two agents speak perfect English and blend right in with their suburban surroundings, all the while gathering intelligence and running operations for the Soviet Union. The show was inspired by the real life arrest of several "illegals," as they are also called in the show, most of them married couples, in 2010. The most famous of the illegals caught in "Operation Ghost Stories" was Anna Chapman, who is now a TV host and model in Russia, following a US spy trade. The show's creators chose to set The Americans during the Cold War, as it's a period in history where the rivalry between the US and Russia was more pronounced than it seemed in 2010. The Americans was created by a real-life intelligence agent. The "realness" of The Americans doesn't end there. Part of the show's nuanced credibility, which elevates it above more traditional and familiar spy fare, comes from the fact that it was created by a real life ex-CIA operative. A fan of spy novels himself, series creator Joe Weisberg worked for the CIA for three and a half years. He toyed with the idea of setting The Americans in the seventies, because he loves the clothes, but the presidency of Ronald Reagan served the story better, as Cold War tensions often simmered beyond a boil more often than under President Carter. Keri Russell and Noah Emmerich almost passed on the show. 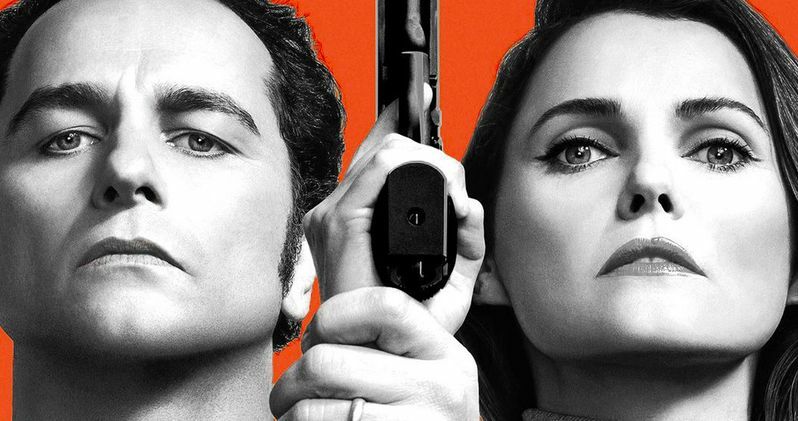 Given the massive amount of love for the show from critics, fans, and award shows, it's crazy to imagine that two of the main stars of The Americans almost passed on it. Keri Russell, previously best known as the curly locked star of TV's soapy Felicity, has said she was ultimately convinced by the number of layers to the story and characters. Noah Emmerich, brother of movie producer Toby Emmerich, was apprehensive about carrying a gun and a badge in another role. He was convinced otherwise by Warrior director Gavin O'Conner, who directed The Americans pilot. The CIA Reads each of Weisberg's scripts. Given his history with the organization, the CIA insists on vetting each of Weisberg's scripts at least a month before shooting begins. In a 2013 interview, Weisberg told Slate that the Publications Review Board had yet to ask him to change anything. What the show gets right and wrong. The CIA even approved a demonstration of real-life surveillance techniques Weisberg gave to his cast and crew. The Washington Post interviewed former CIA officers about what the show gets right and wrong. The show's action is heightened for dramatic purposes - certainly any sleeper agents who were involved in violent altercations would be whisked home immediately. They say the spy game is mostly a bore. The real life sleeper agents caught in America would mostly observe and report. One of the ex field agents interviewed, who began her career as a disguises officer, praised the "nuggets of authenticity that you don't see in other shows. Everything from gadgets to surveillance is done with great care and authenticity, and you can feel that it's not over the top, it's really core to the characters."